Porcelain crowns have been used to restore problem teeth since at least the early 20th Century. 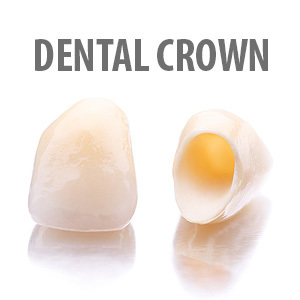 Crown technology has gradually progressed from the early use of precious metals like gold or silver to more life-like porcelain crowns, often with a metal interior for added strength. Today, most crowns are all-porcelain, made with newer materials that not only look attractive but can endure under the pressures of daily chewing or biting. While crowns are often part of restorations for missing teeth, they’re also commonly used to cap or fit over a viable tooth with structural or appearance problems. Here are 4 situations where a crown could improve a tooth’s form and function. Traumatized teeth. A significant blow to the face or mouth could generate enough force to chip away or fracture a significant amount of structure from a tooth. If the root remains healthy and firmly attached within the jaw, however, a crown can replace the missing structure and restore the tooth’s function and appearance. Root canal treatments. Root canal treatments remove infected or dead tissue within a tooth’s pulp chamber, its inner core, and the root canals. The procedure rescues the tooth but can in the process significantly alter the tooth’s structure and appearance. A crown not only restores the tooth but also provides added protection against further decay or tooth fracture. Teeth with multiple fillings. We can effectively treat cavities caused by tooth decay by filling them. But with each filling we must remove more of the decayed structure and shape the cavity to accommodate the filling. After a number of times, a tooth may not have enough structure left to support another filling. If the tooth is still viable, a crown could solve this dilemma. Abnormally developed teeth. Teeth sometimes don’t erupt in the jaw as they should and may be only partly visible. The tooth not only looks out of place but it can’t fully function like a normal tooth. Capping an abnormally developed tooth with a crown will help normalize it and allow it to blend in with surrounding teeth.